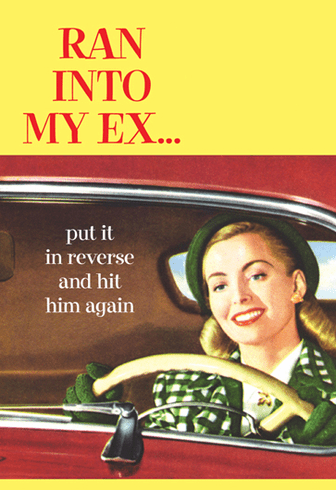 Outside: Ran into my ex… put it in reverse and hit him again. Inside: Congratulations on your divorce. Now your life will be a smooth ride.